How Victoria Fell in Love with Albert the Second Time She Met Him could well be an alternate title for The Young Victoria —in theaters Friday—a film that, despite pretenses of historical accuracy, is simply a love story. Whatever its faults, The Young Victoria proves that British actress Emily Blunt can carry a film: watching her smirk and simper for 104 minutes is entirely satisfying. You most likely remember Blunt as Miranda Priestly’s second-in-command in The Devil Wears Prada, and she was the most enjoyable thing about the nearly-unwatchable Sunshine Cleaning, despite the inexplicable presence of Alan Arkin. She’s also engaged to John Krasinski, better known as Jim from The Office. Despite the leading actress’s charms, the film’s dramatic tension relies largely on its viewers ignorance of British history, so it’s not surprising that some of The Young Victoria‘s loudest critics have been English. 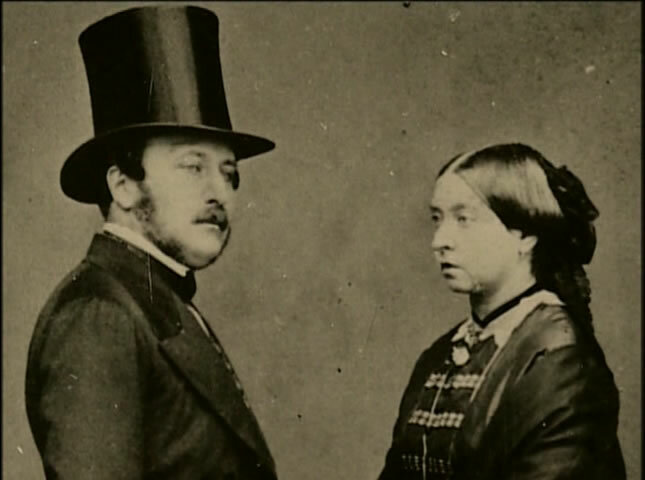 For one thing, knowing that Albert and Victoria eventually produced nine children makes it hard to get all misty-eyed when the prince takes a bullet for his newly pregnant wife. For another, Victoria and her husband had the misfortune of reigning during the birth of photography. Having glimpsed them in a textbook, viewers unfortunately do not likely imagine Prince Albert looking anything much like the excellent Rupert Friend. Nor do they imagine Victoria, who presided over the British Raj, Charles Dickens, and the Industrial Revolution, as looking at all like Emily Blunt, whose mischievous and malleable face seemed destined for indie films but made for period pieces. Critics have griped that the film is too much costume drama and too little politics, but they miss the point. That Victoria and her cousin Albert were rather aggressively arranged by King Leopold of Belgium would have put a damper on the whole romantic arc of the film if not for some deft handling by director Jean-Marc Vallée. To Vallée’s credit, he’s succeeded in making a love story that is sufficiently political and utterly romantic. Sure, one spends the last half of the movie expecting the end credits at any moment. But leaving aside the made-for-TV fades and some pretentious cinematography, I’d take the complicated (and consummated) romance of The Young Victoria over the limp but chaste romance of The Twilight Saga:New Moon any day. For those who still can’t imagine how Victoria and Albert’s courtship could manage to entertain for an hour and a half, consider Zadie Smith’s 2002 summary of their complex and ultimately doomed relationship.